…who saw the engine fail in its first race, then had the car overhauled by Ferrari before entering the 1955 Liège-Rome-Liège rally. 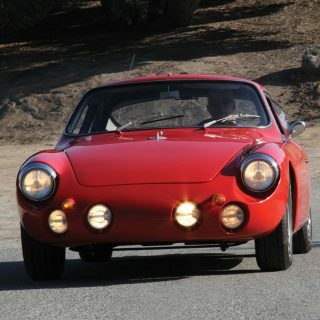 The factory overhauled the car for a second time after the rally, but the owner never picked up his car. After 10 years just kicking around at Ferrari, in 1965 it was painted red and placed in the museum at the Autodromo di Monza. 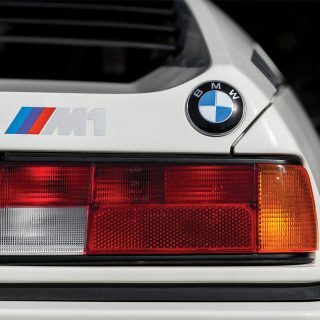 Another decade passed, and the car was eventually sold to its second private owner—in 1975. 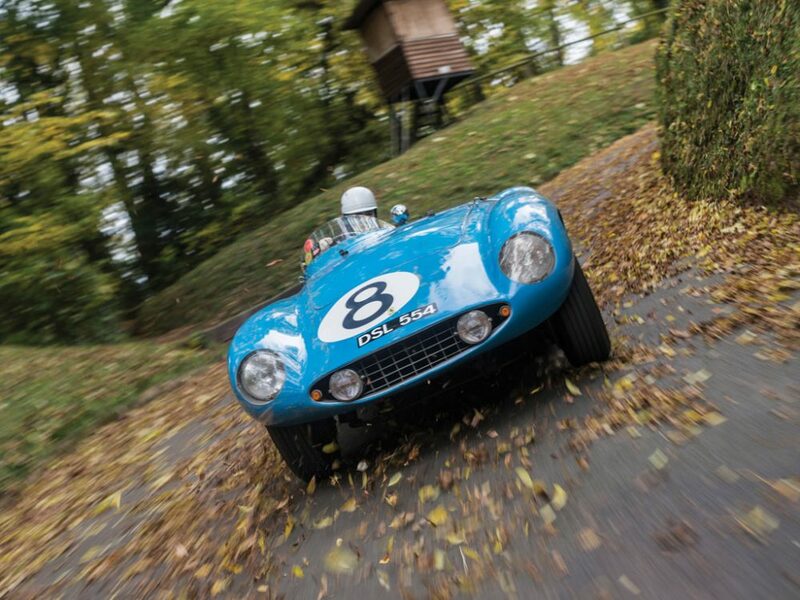 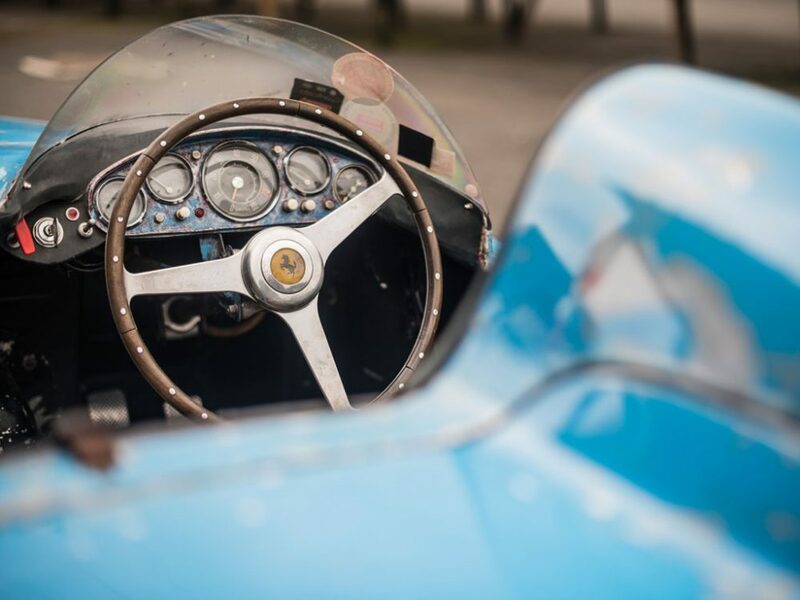 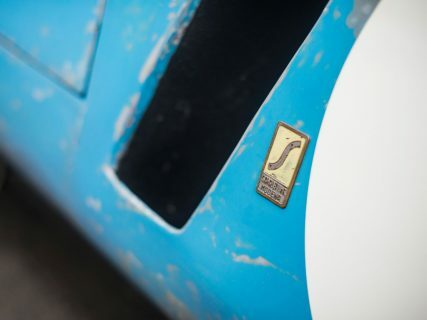 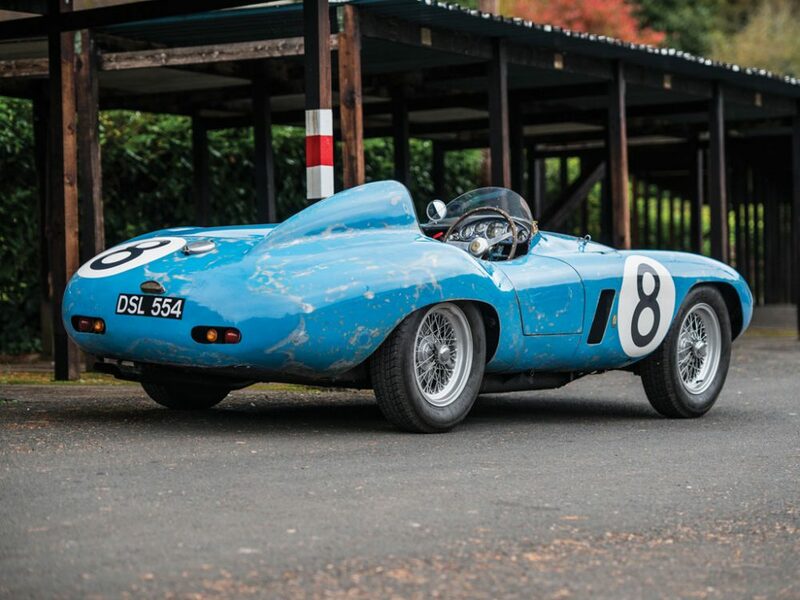 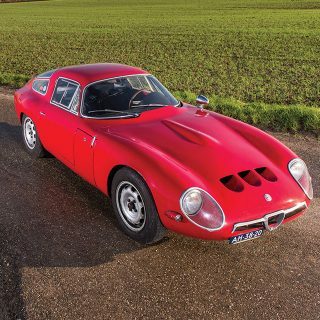 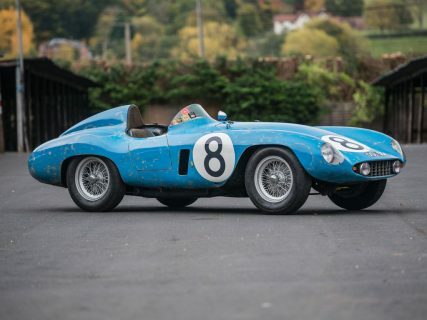 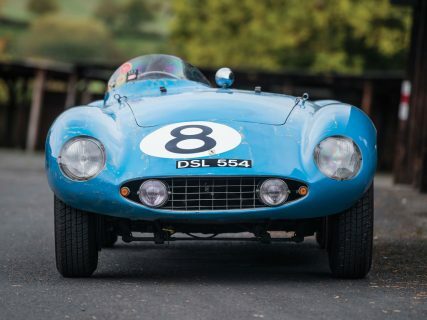 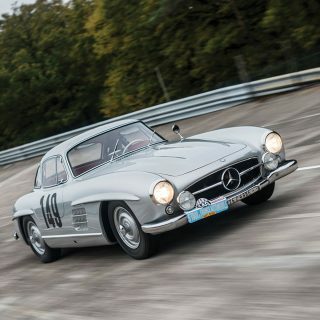 Most importantly, the car was still original at this point, and had become old enough to feature in classic car rallies and concours, where it has been seen ever since, and has even run the Mille Miglia Storica on multiple occasions. 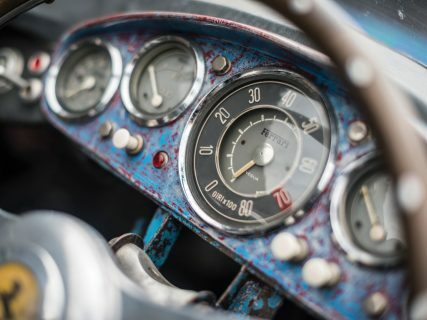 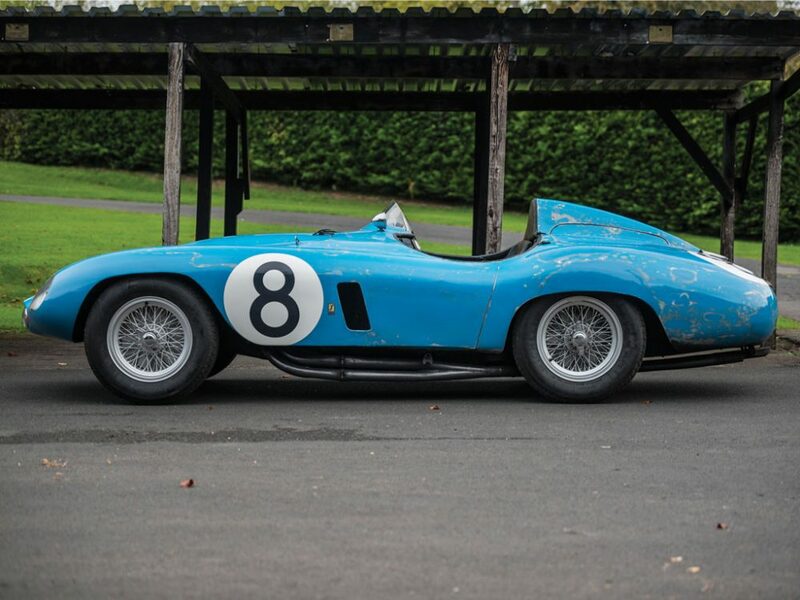 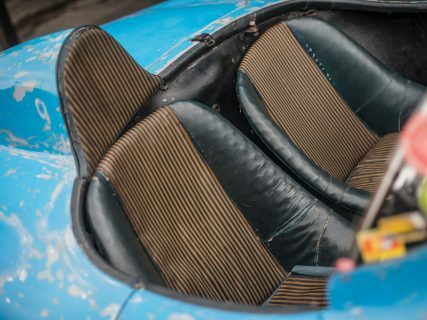 But enthusiast Pierre Mellinger realized there was more to the car, and had Ferrari’s layer of red paint removed—over three months—to reveal that its original French Blu paint had lived just under the surface for all these years. ~170 horsepower, 1,984-cc DOHC inline four-cylinder engine with two Weber 40 DCOA/3 carburetors, five-speed manual transaxle, tubular steel chassis, independent front suspension with transverse leaf springs, De Dion rear axle with parallel trailing arms and semi-elliptical leaf springs, and four-wheel drum brakes. 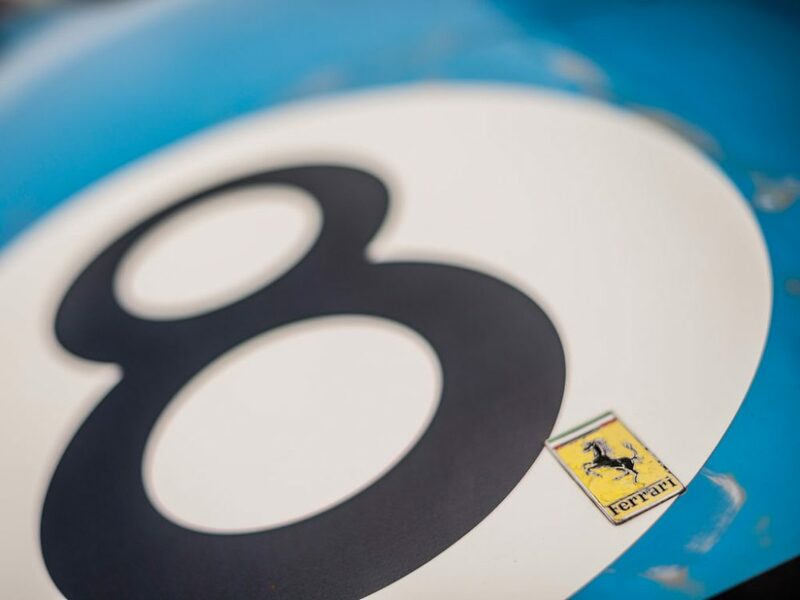 Wheelbase: 88.6 in. 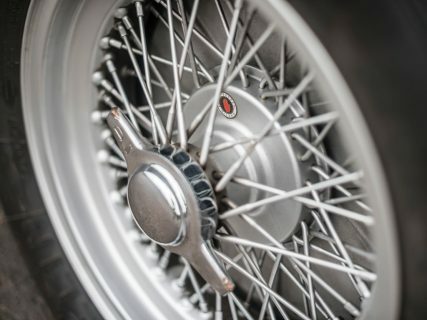 Gear Would You Trust These Renaissance Mechanics With Your Car? 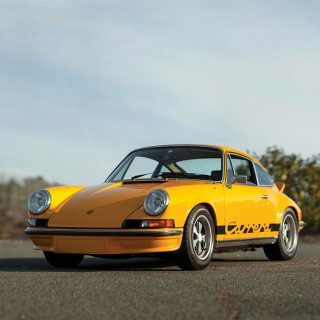 Market Finds This Concours-Winning Porsche 911 Is Almost Too Nice To Drive. Almost. 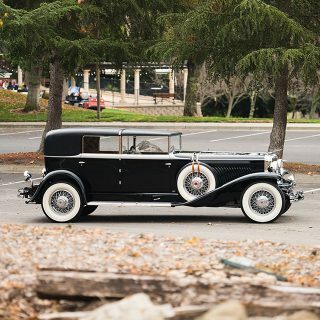 Very cool car. Also not to be confused with 500 Mondial 0446M/ 0556MD which is also French blue and wears the number 8 which it is associated with from when it was driven by Castellotti in the Venezuelan GP.